The mounting system is born to address all problems you may confront when the rooftop pv system is mounted. 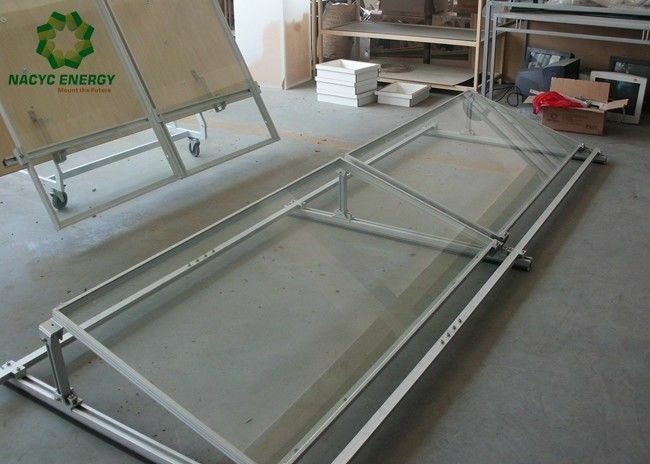 Different from traditional mounting system, it has unique strength, such as quick-to-install, lightweight, compatible with framed modules in different dimensions, and friendly to virtually any flat roofs without compromising integrity, convenience and cost. 2. Wind reflector help to withstand stronger wind. 3. Can be installed with concrete block.